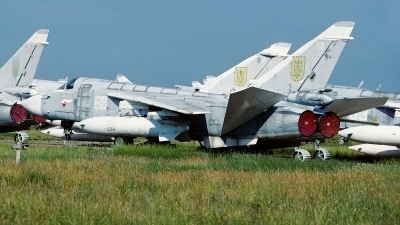 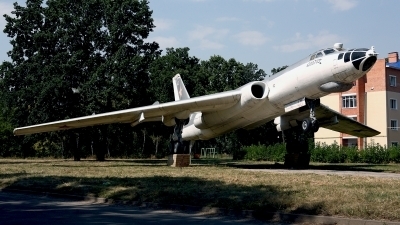 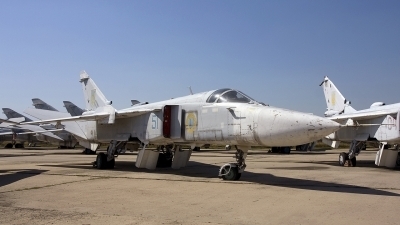 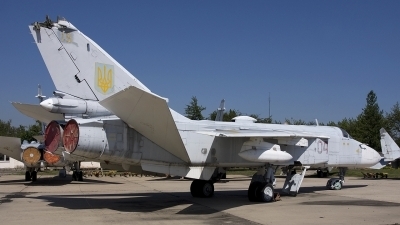 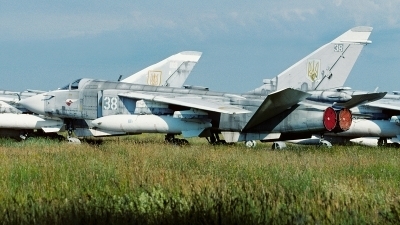 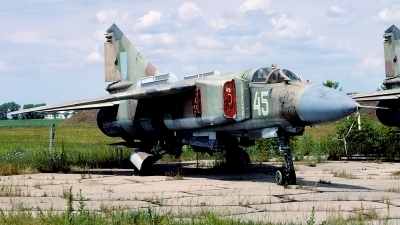 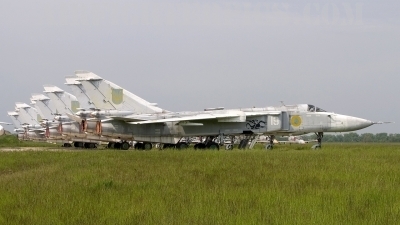 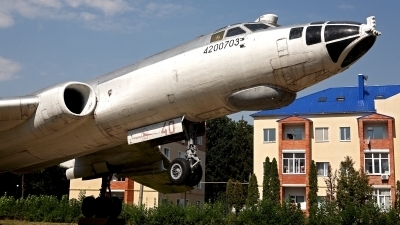 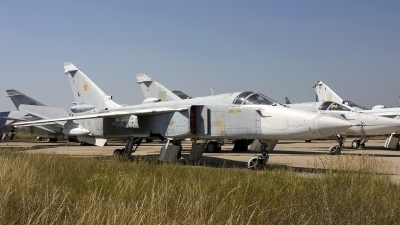 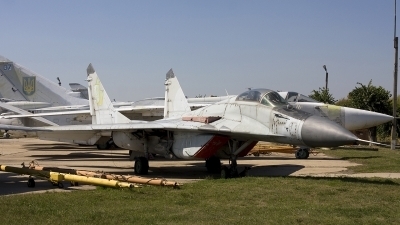 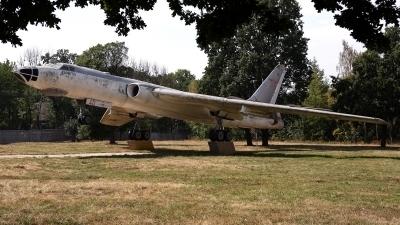 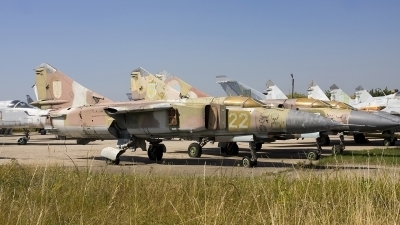 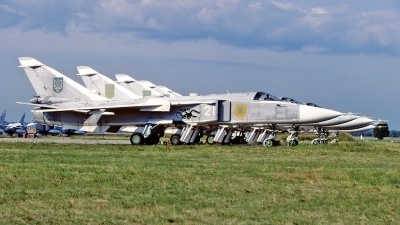 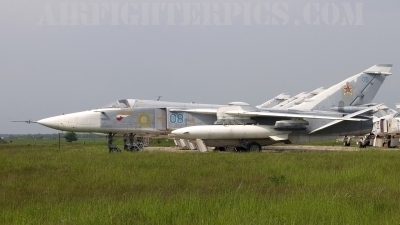 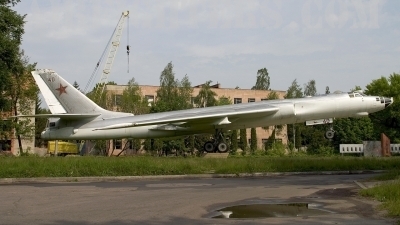 One of many Ukrainian MiG-23 and Su-24 fighterbombers stored at Belaya Tserkov waiting to be destroyed under an US-UA arms reduction program. 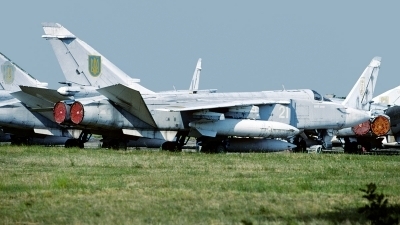 wfu/stored waiting to be cut to pieces as a part of a US-UA arms reduction program. 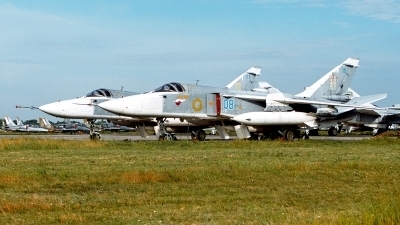 plus 05 and 20 WHITE wfu/stored.